Everyday, I look forward to challenging myself. Full Range CrossFit has been a great catalyst for change in my life. After a catastrophic hip injury, I thought my days of hard work outs, team sports and pushing my physical limits were over. With the careful guidance of FRCF trainers and the support of my FRCF teammates, I am stronger, faster, and fitter than ever before – AND pain free. Everyday, I look forward to challenging myself, reaching beyond my preconceived limitations into a new confidence. I have rediscovered the joy of being an athlete – and this experience has me standing up straighter, moving more confidently, and believing in myself. The whole team at FRCF has had a hand in making this possible. I cannot recommend FRCF highly enough for anyone looking to discover or rediscover their inner strength, redefine their limitations, and experience joy while doing it. Nor can I thank them enough for all of the time, knowledge, care, and guidance they have shared with me. FRCF is made up of one classy, compassionate, knowledgeable team of trainers. If you let them, they can change your body and your life for the better. The coaches and members were incredibly welcoming. I first tried Crossfit three years ago at a different gym. I washed out quickly, and quickly returned to my normal desk jockey lifestyle. Fast forward two and a half years, I’m still dealing with the same problems: lack of energy, mobility, and increasing aches and pains. A friend told me about Full Range; hesitantly I signed up for the fundamentals class. I felt immediately at home, the coaches and members were incredibly welcoming. In the past few months I’ve grown stronger and more mobile than I’ve ever been. The aches and pains of sitting at a desk are gone, replaced by the well deserved soreness of hard work. It pains me to wonder where I’d be today, if instead I had walked in to Full Range Crossfit three years ago. More importantly, I can’t wait to see where I’ll be three years from now. What you and Adam do is pretty important. Thanks for everything. Perfect outlet to channel my competitive streak, while continuing to stay in great shape! Though my experience as a “Full Ranger” has been relatively brief (started in September ’13), my decision to train at FRCF has to be one of the best decisions I have made in recent memory, but not for the reasons one might think. I hail from Cincinnati, OH by way of Indianapolis, IN. For anyone that has spent significant time in the Midwest; if you have seen one city, you have seen them all. But, for 24 years, it was home and I never knew anything different. However, that all changed in late August 2013 when I accepted a new job in Providence, RI… To preface, I found CrossFit in January of 2013. After participating in college athletics, it seemed to be the perfect outlet to channel my competitive streak, while continuing to stay in great shape. 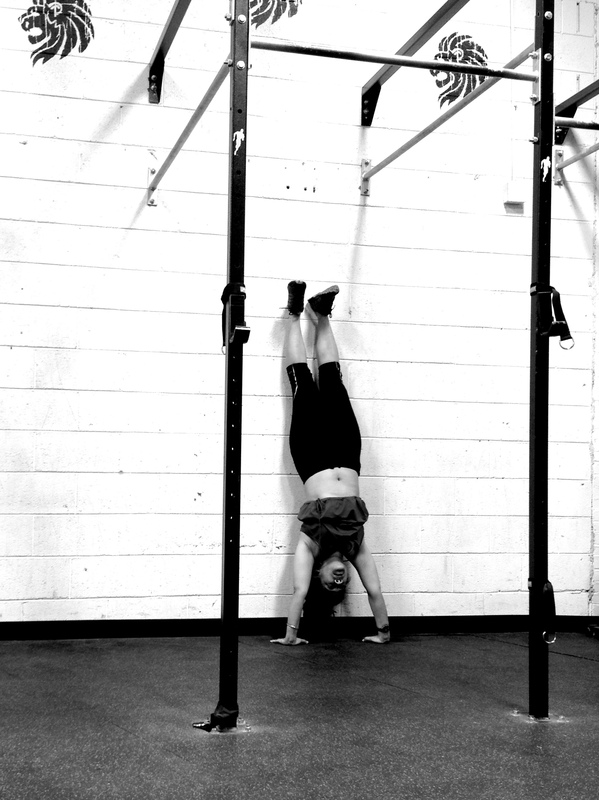 In CrossFit there is always something to improve upon (for me: burpees & muscle ups….ugh). In addition, it is so fulfilling to see the OLY numbers climb and the FOR TIME numbers drop. I made significant strides in my gym in Cincinnati in a short time; while also having a great relationship with the people there. Again, that all changed with my move to the Northeast. 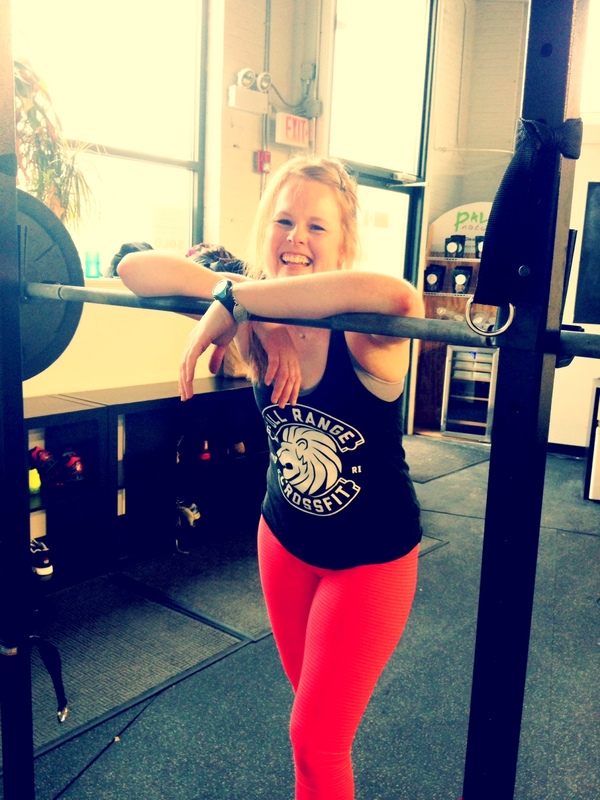 In addition to missing my family, friends and home…..I was going to miss my gym. After my move, I initially visited a few gyms throughout the Providence area. However, something just seemed to stick at FRCF. The programming, the coaching, the atmosphere; this was a place where I was going to get better. And I have. However, anybody – ANYBODY – can make improvements in CF by having a great attitude and doing what needs to be done (following coaching instructions, nutrition, mobility, sleep etc.). However, at FRCF, I have gained so much more than better METCON times. I made a TON of friends. Moving can, and often is, difficult for any individual. For me, I have been a homebody as long as I can remember. I went to college 1.5 hours from home and graduate school was only 30 minutes away. Hell, when I moved out of my parents’ house I was still only 20 minutes from them. So you can imagine my apprehension moving 900 miles from everything I knew. The coaches and people at Full Range immediately made me feel like I was part of their community. For example: How about a CrossFit competition with 30+ members attending and cheering athletes on? Absolutely. Christmas party at the owners’ home? You’re invited. Ringing in the New Year with a coach? Yes sir. Everyone has made home feel not so far away; and I can’t be more thankful. So, although it may sound a tad sappy, it’s the truth. I couldn’t be happier with the decision to train and progress at FRCF. It doesn’t matter who you are; you will make improvements here, while becoming part of a great community. See you all at the gym. Here’s to BIG things in ‘14. You will be able to exceed any expectations you have of your own performance. 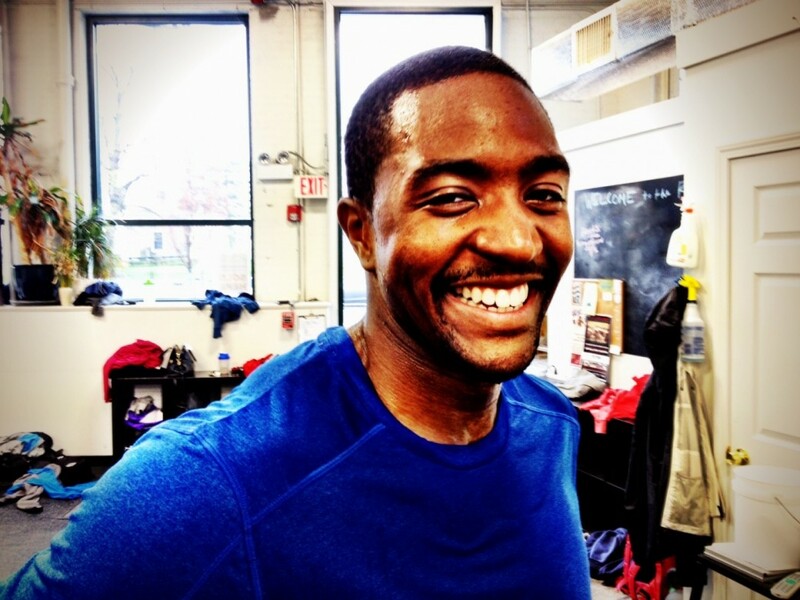 Joining Full Range Crossfit has had a huge impact on my life both personally and with regard to my physical fitness. Full Range has provided me not only with excellent coaching, but also with a wonderful community. I consider the gym a second home, and I know after a stressful day I will always see familiar faces and have fun, whether or not I kill the workout. All of the coaches at FRCF show genuine interest in your progress. They encourage you to push your limits, but their number one concern is always your safety and the integrity of your movements. The coaches know each athlete individually and provide a safe and intimate environment where you will be able to exceed any expectations you have of your own performance. Their programming is excellent and you will absolutely see results from your efforts. Their methodology is meticulous and thorough, and it shows in the lack of injury at the gym and the progress of their athletes. If you’re looking to get fit, challenge yourself, try something different, or for a home away from home, Full Range Crossfit is the place to do it. Adam, Alecia, James, Sammy, and Brayn are all excellent coaches and they will provide you with insight into your strengths and weaknesses, encouragement, and a lot of laughs along the way. Did I mention I can back squat more than 1.5X my body weight, too? I’m still amazed at how much stronger and faster I get each day! I have never been athletic or a fan of working out and always struggled keeping up a consistent regimen. I have tried group classes, gym memberships that I never used, and personal training. The personal training helped, but definitely didn’t get me the results I have seen from CrossFit (despite being way more expensive than a CrossFit membership)! I’m still amazed at how much stronger and faster I get each day and the fact that I actually ENJOY it! With this discovery of my love for CrossFit, I have also learned that not all gyms are created equal. As someone who has been a member of two other CrossFit boxes, I have experienced what sets Full Range CrossFit apart from all the other affiliates out there! Other gyms have been overcrowded and/or understaffed to accommodate for the class volume. This was particularly important to someone like me who was new to CrossFit and all of the Olympic weightlifting that goes along with it. From the beginning, the owners at Full Range made it clear that their priority is ensuring proper training and technique through adequate staffing and coaching. Along with this, they also offer amazing programming, which has proven to get results (whether you’re a veteran or newbie), and an incredible group of members and coaches that have become great friends! I am possibly in the best shape I have ever been. My life as a first year medical student has been challenging for a lot of different reasons. But one thing it hasn’t been is unbalanced. 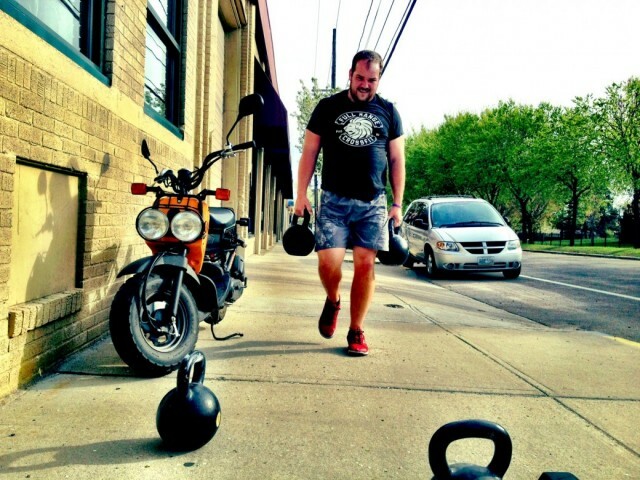 FullRange Crossfit has given me the opportunity to realize how importanttaking some time for yourself and your body is. It’s never too late, ortoo early, to start. While I have always tried to be a pretty activeperson- through competitive swimming, cheerleading, and dance- I found myself in a rut, trying to motivate myself to go to the gym on my own. With crossfit, the motivation comes from knowing that every day will be a challenge- but it will be fun, different, and dynamic. At FullRange it’s also not just about the workout. Seeing the same faces that cheer you on, from the coaches to the other members, every day only makes you work harder and feel happy you showed up- even in 20-degree weather, after a really long day. I am happy to say that with just a short time at FullRange I am possibly in the best shape I have ever been in and seeing these gains and personal growth and improvements (in my health and other aspects of my life) have made me a much more balanced, confident, and energetic person. I have never felt better or stronger. Every day has been an opportunity to channel energy or gain energy and surprise myself. Discovering crossfit was great, but finding FullRange and deciding to join has been the best decision I could have made for myself. All the members and coaches are truly a fitness family. I’ve been at Full Range Crossfit for a year and I’d have to say it is by far one of the best experiences I’ve had in my life. Adam, Alecia, Sammy, Brayn, and James are not only extremely friendly, helpful, and competent but also push me to a level of fitness that I never thought I could achieve especially on my own. They have been there for me through every workout: coaching, congratulating, and laughing with me. This is the first workout routine that I’ve committed to for longer than six months AND also the first workout routine I actually look forward to each day. Every night a 7:30 I can be found on my couch hitting refresh over and over waiting with wild anticipation to see what tomorrow’s WOD with bring… hoping… praying the Air Dyne isn’t involved… but even when it is I go to class and give it my all. I truly enjoy and revel in every single moment at Full Range even the moments when I’m sprinting on an Air Dyne followed immediately by burpee box jumps. In addition to the best work out ever, I got my husband to start going and as a result it has brought us closer by giving us something new to do together creating a more healthy relationship. I’m so glad I found Full Range for both physical and emotional reasons. All the members and coaches are truly a fitness family and I couldn’t ask to be a part of something better because, simply put, there is nothing better. I never thought Full Range CrossFit would be a part of my life! Once upon a time, I was committed to gym memberships, but was not experiencing any growth and it was becoming mundane. I had done Insanity, but quickly became bored as I memorized the workouts. I was in need of something different. I never thought Full Range CrossFit would be a part of my life. I can remember arriving to the open house for Full Range gym with some co-workers, who had done Cross Fit before. I WAS INTIMIDATED! I wasn’t quite sure I could really do this! A year and some change later, my life has not been the same. My fitness has changed. I am able to do things and lift like I never thought I could. My strength and confidence has improved. 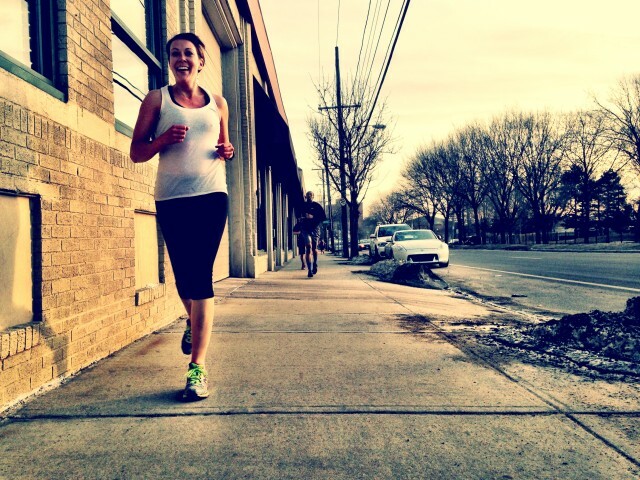 I feel really good doing activities outside Cross Fit. I play basketball twice a week and I can tell the difference in conditioning and moving up and down the court. After giving birth and nursing my son for 18 months, I was desperate to do something to reclaim by body. My friend had been raving about CrossFit and while I was skeptical (because I assumed it would be a hyper-masculine, competitive space), I gave it a try. I went to my first class totally intimidated and a little lost, but after completing the on-ramp course, I felt more comfortable with the movements and intrigued by how satisfying a workout I could get in such a short period of time. So I kept going. I quickly realized that my biggest competitor would be myself – that while some of the others in the room were indeed accomplished athletes, most of us were just regular folks wanting to feel better, stronger, healthier. Once I realized how non-judgmental a place FRCF was, it made it super easy to go and just “do me.” I also realized what an amazing resource the coaches at FRCF are. Unlike what some people think CrossFit is like, no coach at FRCF has ever yelled at me or pressured me to perform a movement I didn’t want to do or wasn’t ready to do. The FRCF coaches are really great about motivating you to keep going even when you want to stop while also teaching you how to exercise safely.